Discussion in 'Sports' started by smfoley1, Aug 12, 2010. I used to ski when I was a kid and then started snowboarding about 16 years ago. Back in in my younger days I was on a couple of semi pro teams that competed all over the country. Now with a wife, kids, and full time career I haven't been on the slopes in almost 4 years. Ski. I grew up skiing in CT and told myself I would pick up snowboarding eventually. Well I moved to Colorado and wasn't about to waste an entire season of amazing snow and mountains learning to snowboard now was I? So skiing it is. I grew up in CT too, Stamford to be exact. Jealous that you get to live in CO. I snowboard and ski. Been snowboarding since I was about 13. Lived in Colorado for 6 years. I live in Miami I tried skiing once when I was little and lets just say it didn't work out so well for whatever reason, pretty much like a fish out of water. I have lived in the mountains for the past 4 years and haven't went but this year i am def taking up snow boarding, i am tired of just looking at the mountains and not being up in them. My Dad taught me how to ski when I was about 5 years old and I loved it. Lots of trips to the Rockies for ski holidays. I tried picking up Snowboarding back in the mid-90's when it was becoming popular - Horrible at it. I can't have my feet strapped together, I lose all balance. Same here.. snowboarding is more in the hips it seems.. I just cant do it at all.. I snowboard. Been doing it forever. Was an instructor for a while, and a ski bum (lived in Breckenridge and Keystone for 3 years). Love boarding, and just added this to my Christmas list. LOL. 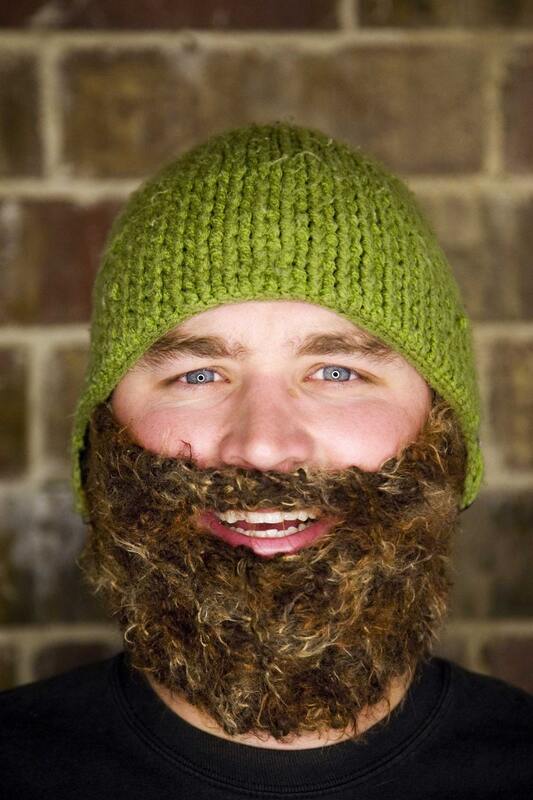 I'll wear it over my real beard to keep my face warm on cold days. I snowboard and cross country ski. I've tried downhill skiing once about 10 years ago... I keep saying I'll try it again. I live in Alaska and love outdoor sports. I've been downhill skiing for 23 years and snowboarding for 17 years. I downhill ski about 15 times a year and snowboard a couple times a year. I don't own a board currently (sold it when I went to grad school) and I haven't bought one because many of my close friends don't board anymore so I don't have people to go with. I'm good enough to do any run I want though some of the double black diamonds can be scary, lol. Back country skiing is also amazing if you haven't tried it and I would recommend getting into that. Recently, I bought a pair of x-country skis online and hopefully they get here soon because we got 6' coming tonight and I really want to be out in it. Great....now I'm all excited. I can do both. As I live in england, sadly I do not get to do go often enough. I used to snowboard when I was younger. My dad bought me a board and used to take me all the time. When I stopped going to my dad's house every weekend I stopped going because my mom wouldn't take me. I haven't been on a board in a very long time now.